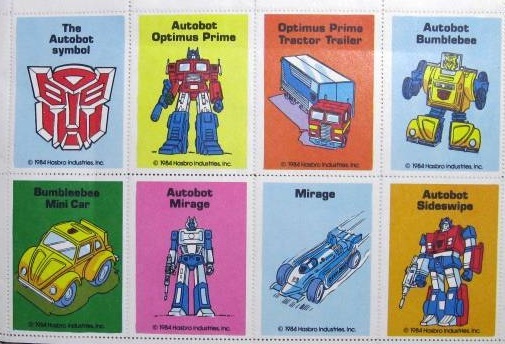 The concept was to publish highly recognizable merchandise to kids… It’s a two-tier strategy, in that one element of the product appeals to the kids, and one element appeals to the parents. 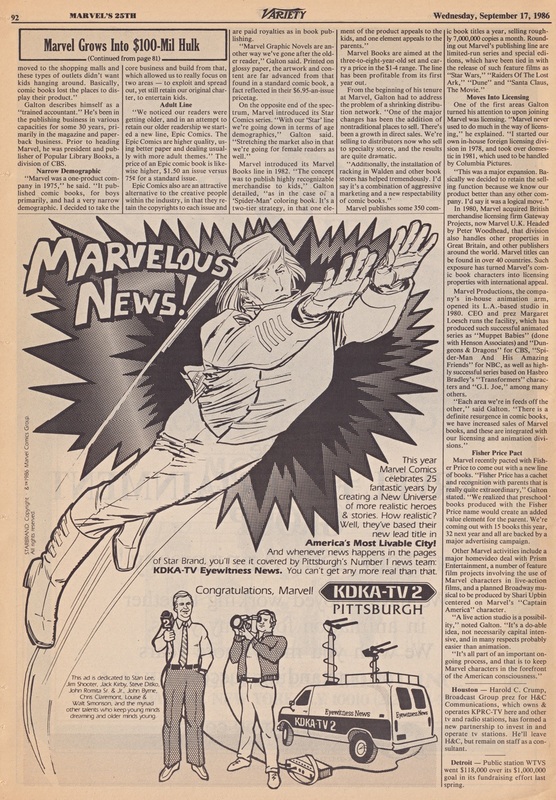 The line’s tremendous success, he says, was due to a “combination of aggressive marketing and a new respectability of comic books.” Much of that “respectability” was a direct result of Marvel’s unrelenting marketing and licensing. 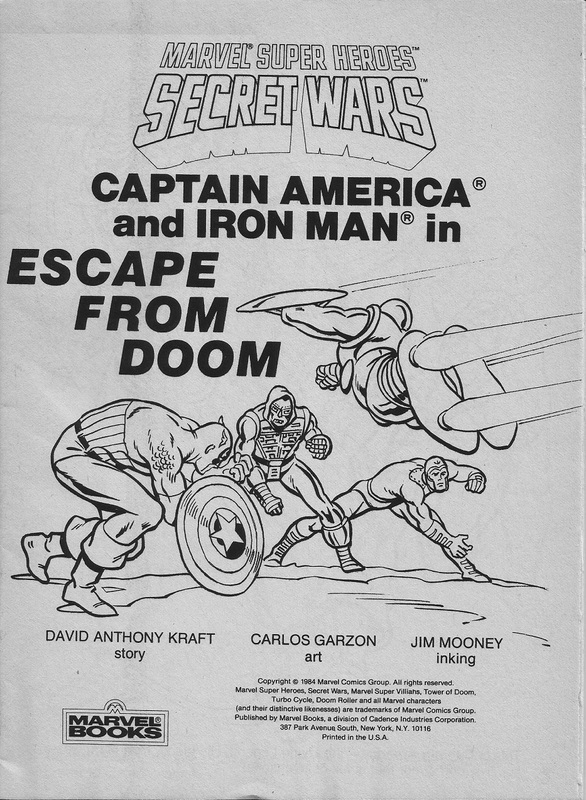 Dwight Jon Zimmerman got his start on Marvel Books and went on to write and edit various Marvel comic titles until becoming executive editor of Topps comics in 1992. 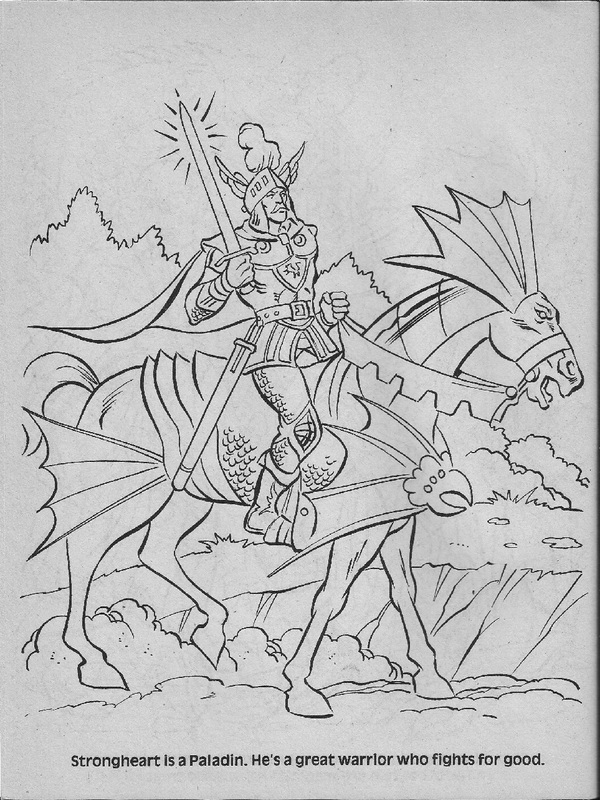 Today he’s an award-winning author of military history books. 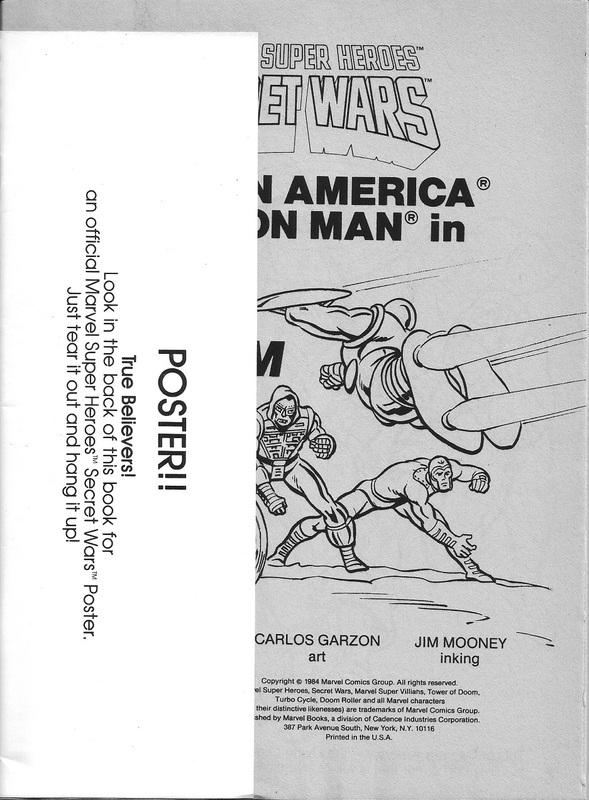 Unlike most teams listed in comic book credits, Al isn’t strictly the penciler and Carlos strictly the inker. 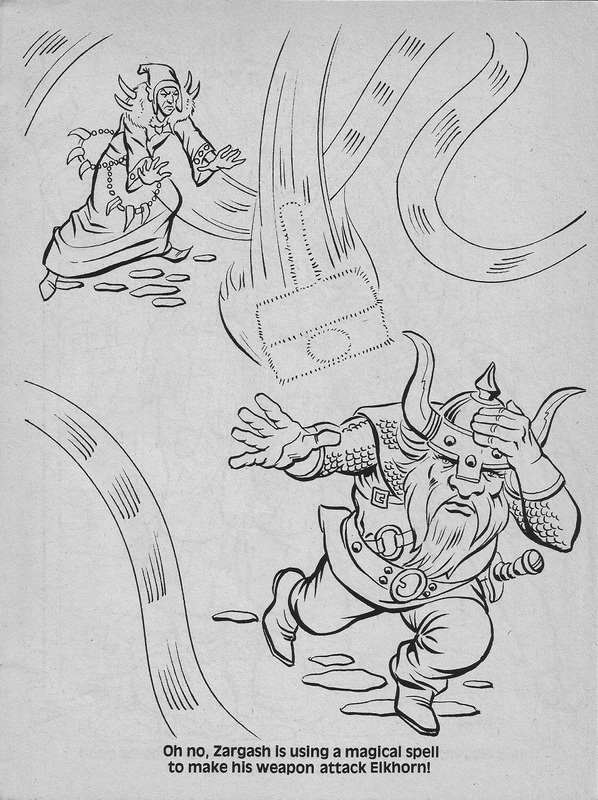 They each do some of both, switching back and forth, sometimes from page to page, sometimes even from panel to panel, or even within a given panel. 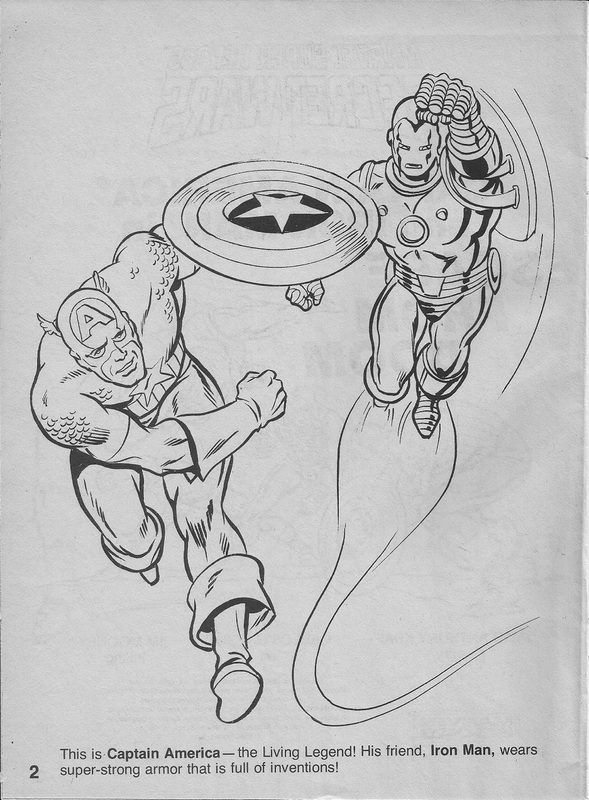 The end result is one smooth, high quality style, and an adaptation we at Marvel are very proud of. 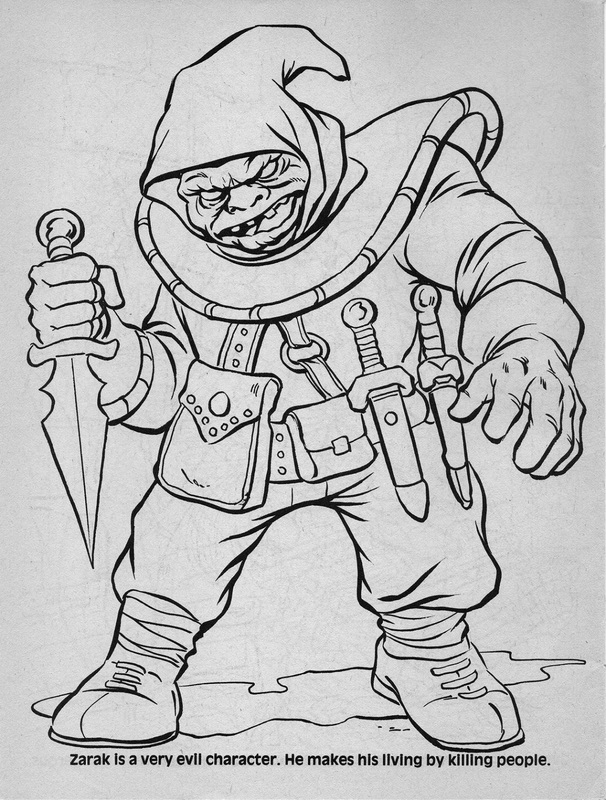 Read a good interview with Garzón by Ryder Windham at the Star Wars Blog. 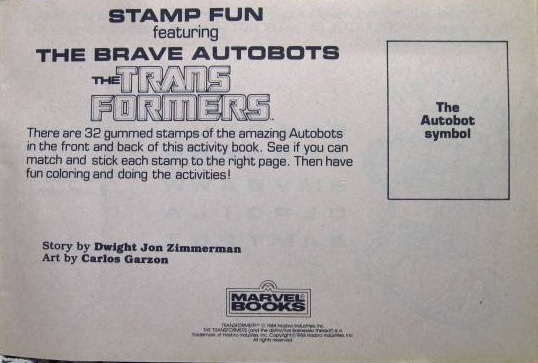 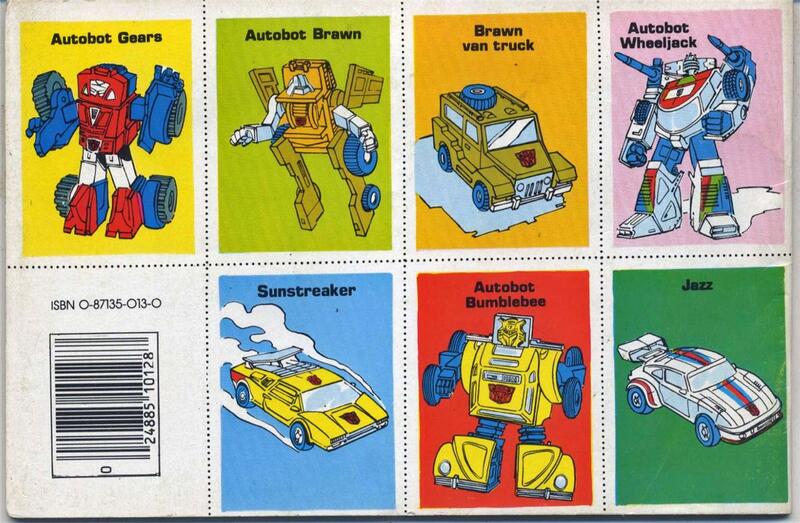 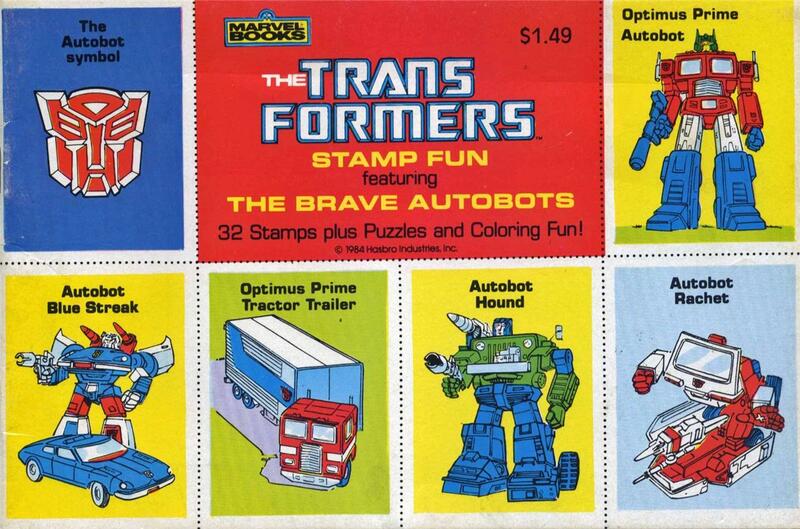 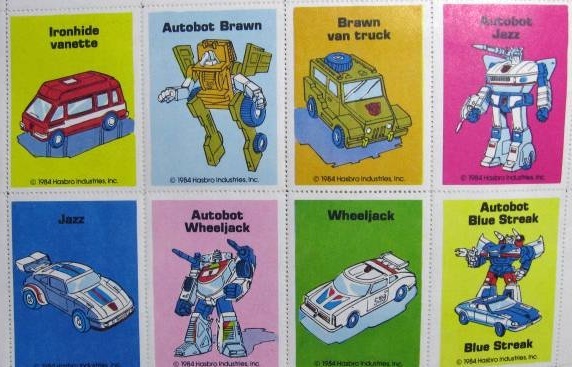 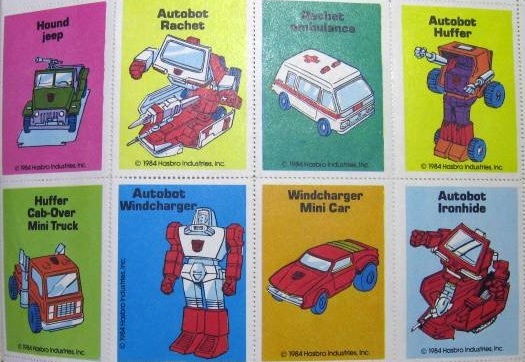 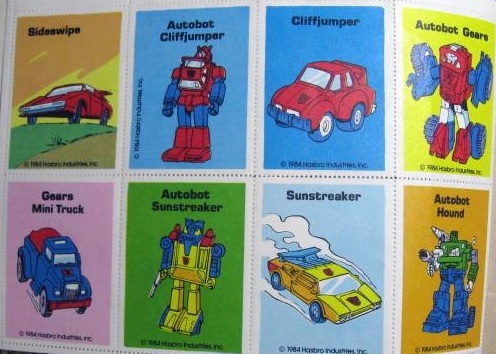 There was a different stamp book covering “The Evil Decepticons.” I’m looking for copies of both. 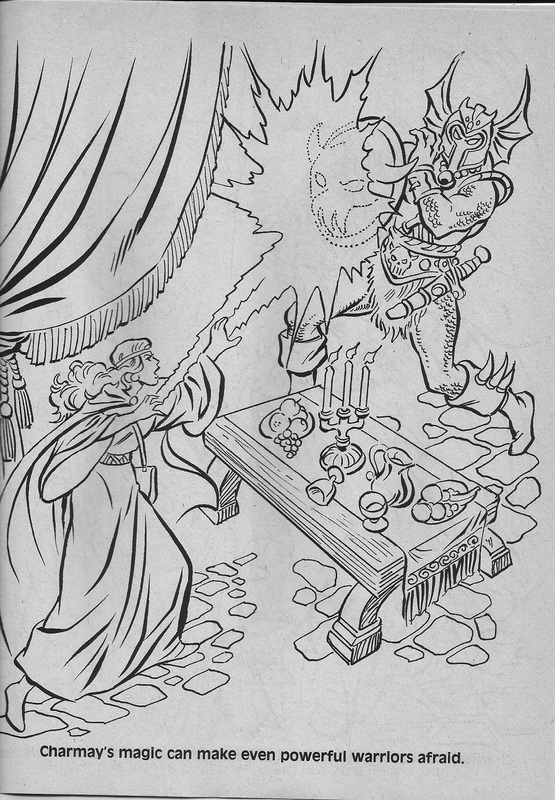 Page one: Stine continues to play fast and loose with the spells. 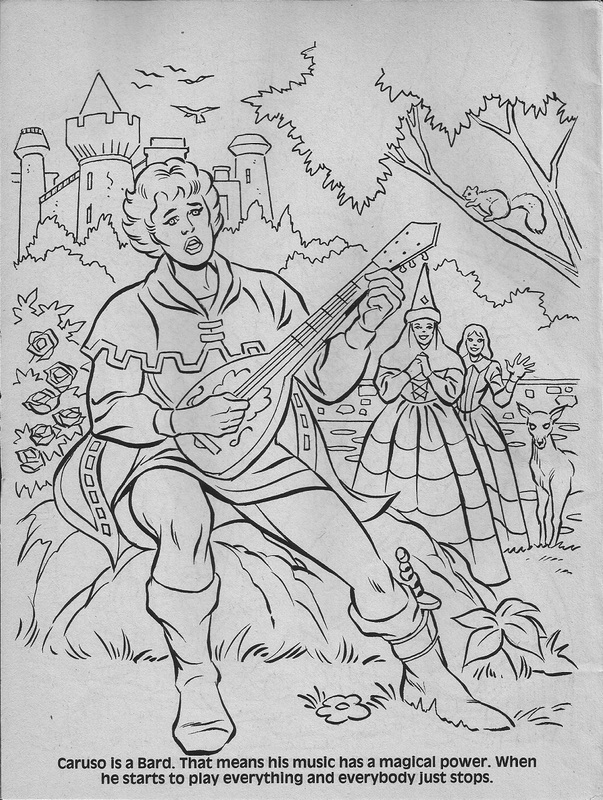 It gives the artists more freedom. 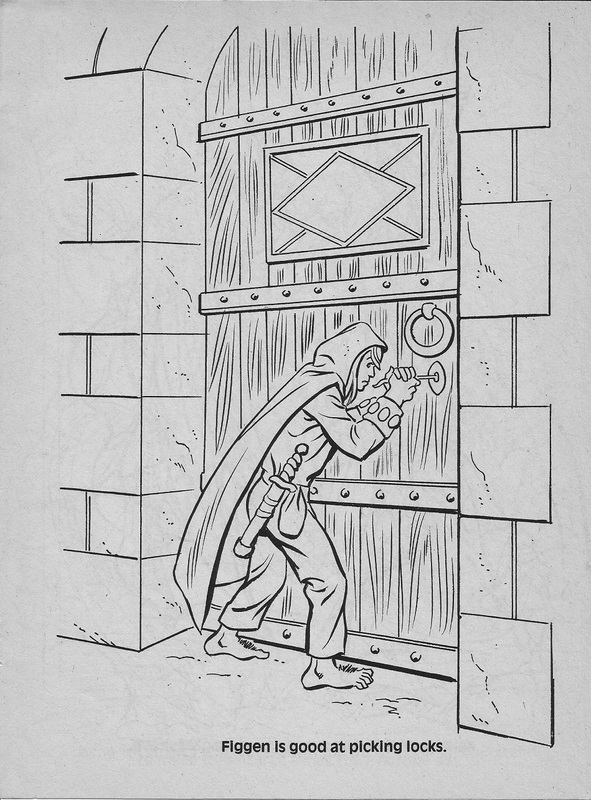 Page three: Thieves do not enter buildings through the front door. 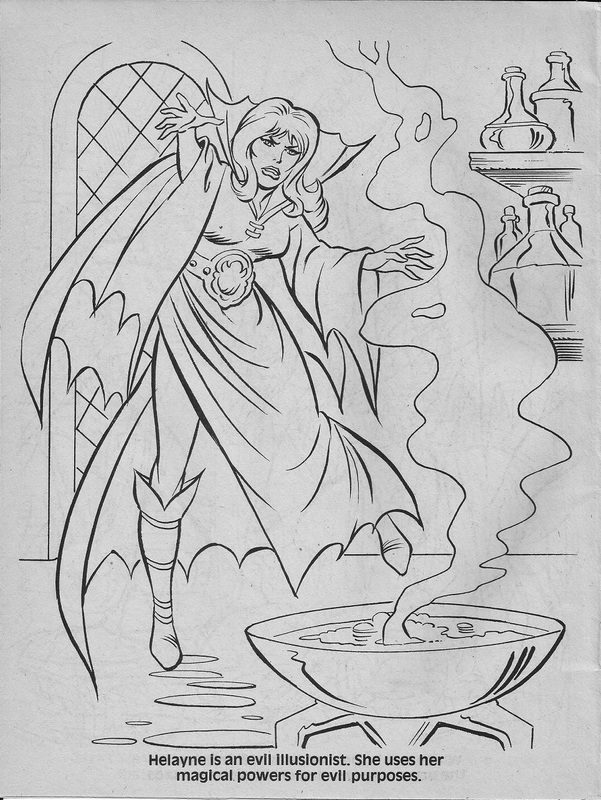 Page four: Not really a revelation that evil sorcerers use magic for evil purposes. 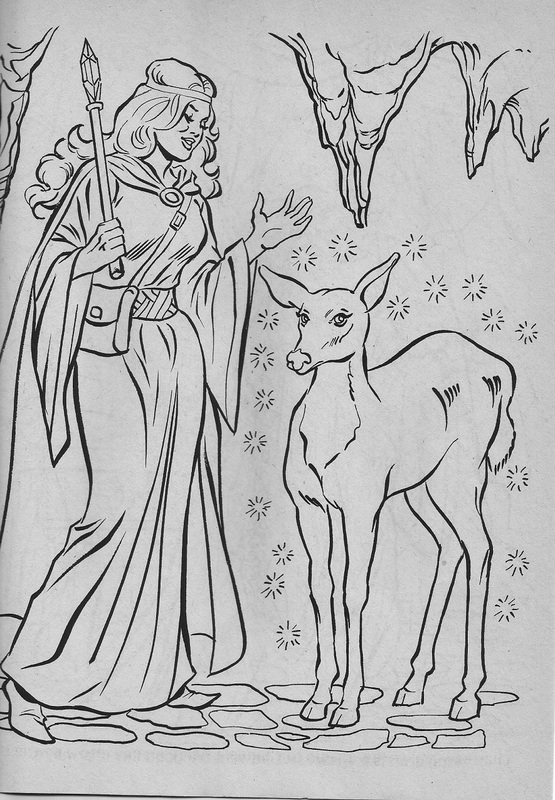 Page five: A real druid spell. 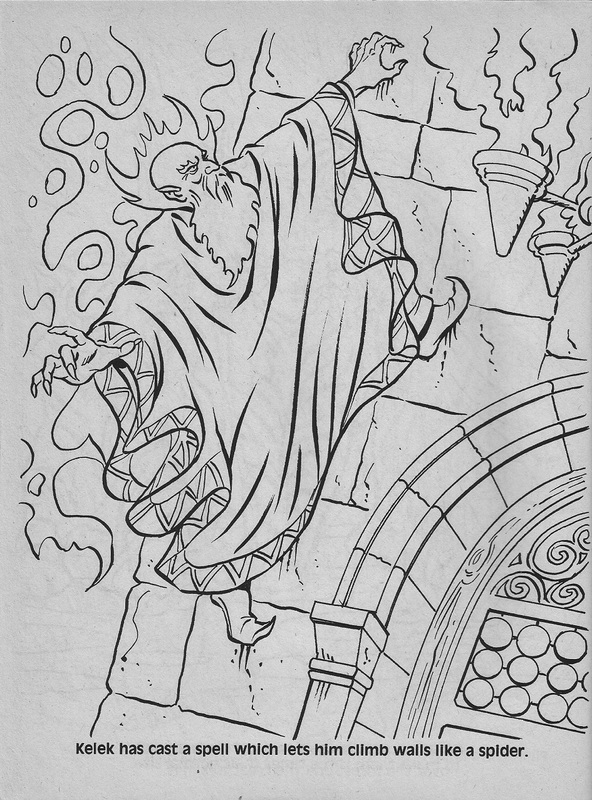 Page six: The Amazing Spider-Mage! 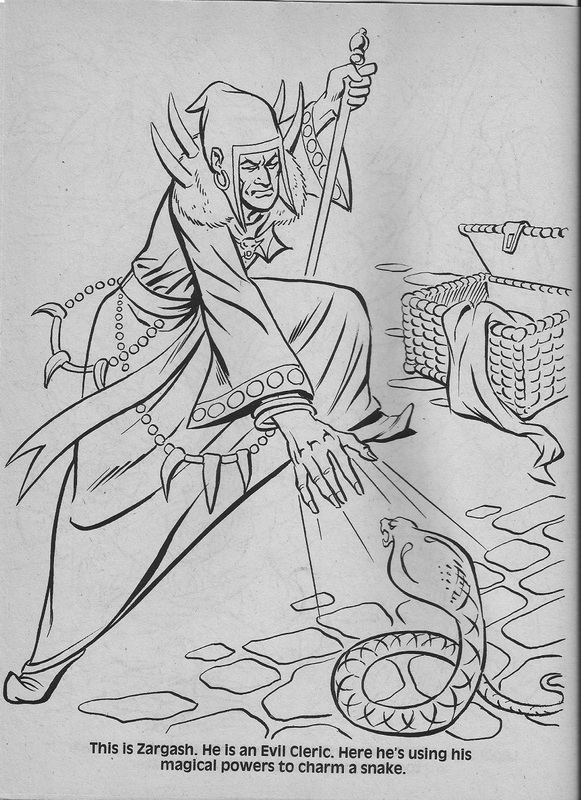 Pages seven through ten: The druid is about as fearsome as the bard in part one. 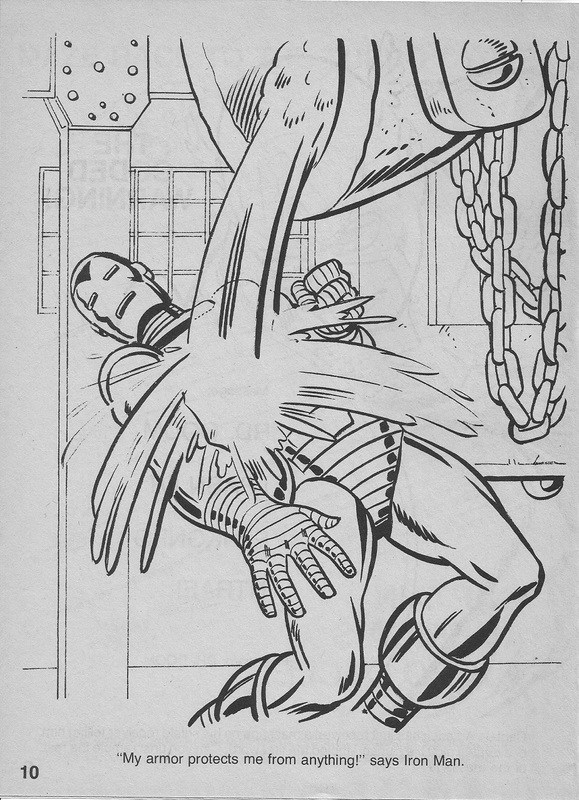 Page twelve: My favorite from this bunch. 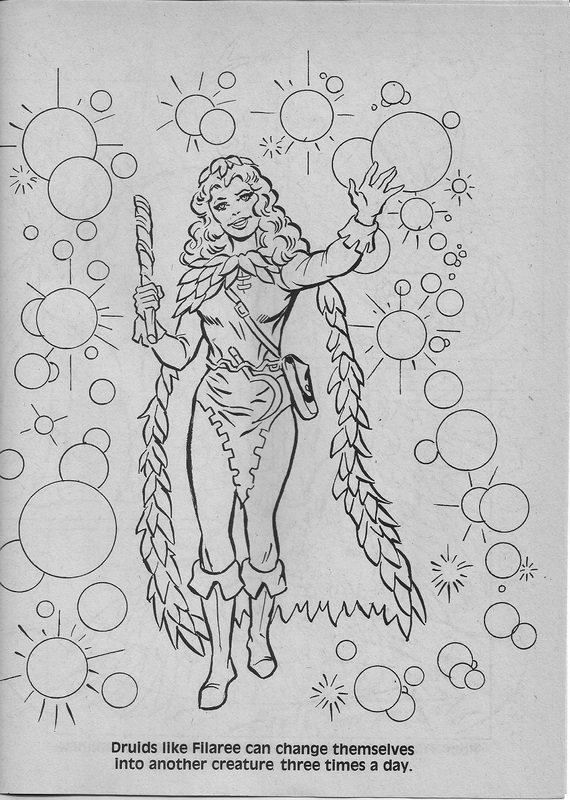 Love the feather. 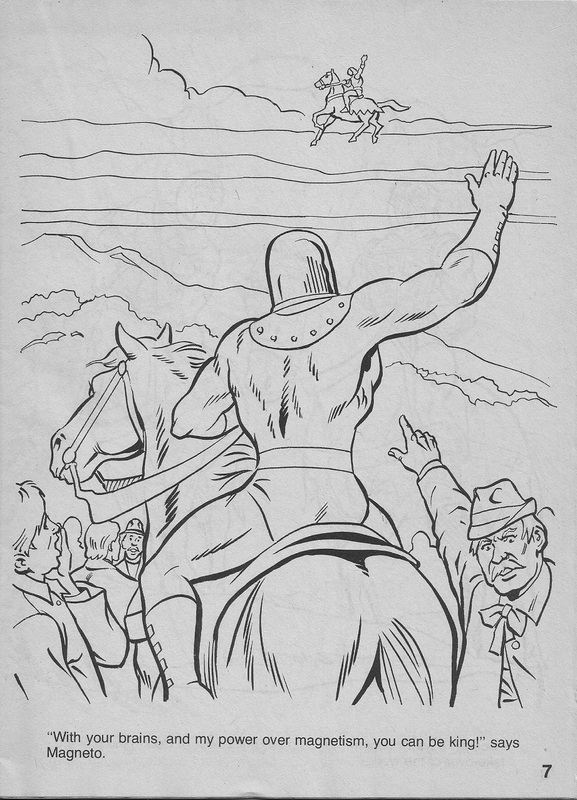 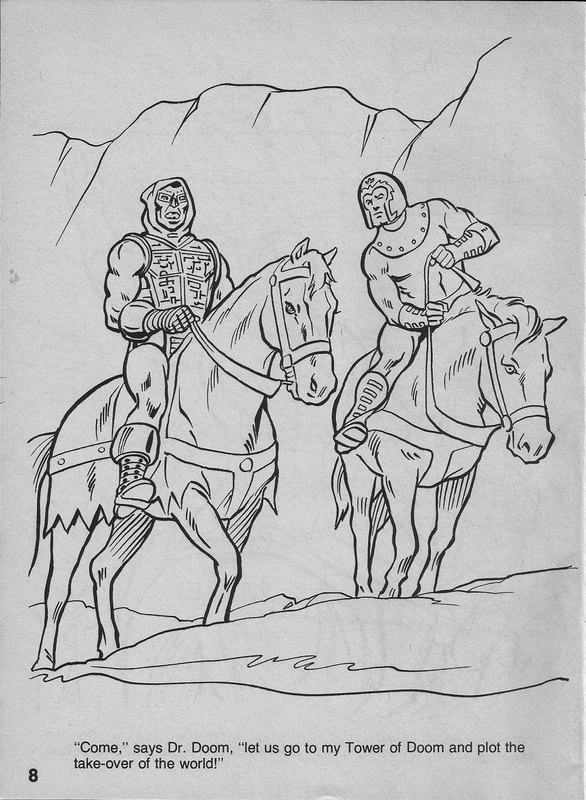 Page thirteen: Warduke does not look afraid to me, merely annoyed. 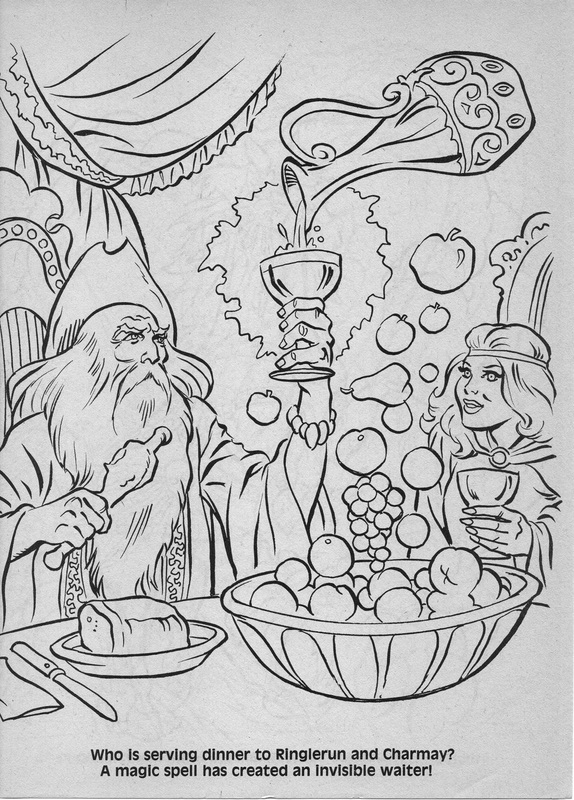 Parts one and two of the coloring book are here and here. 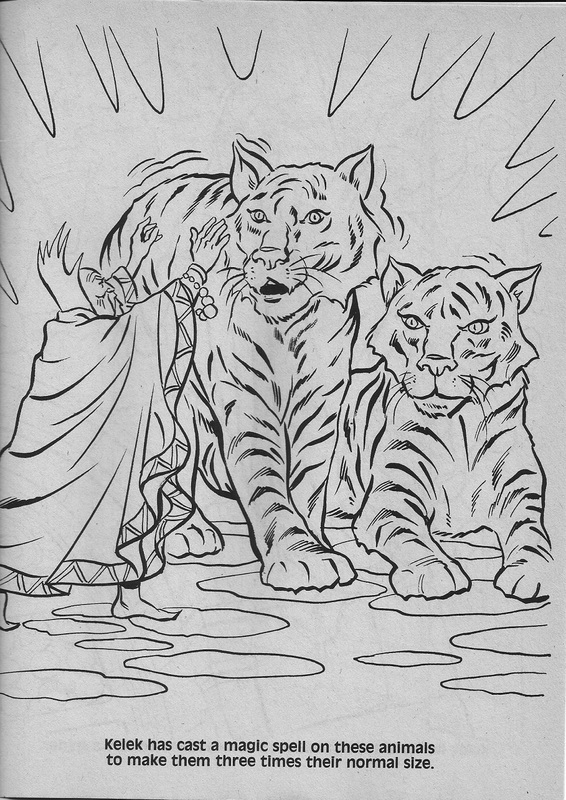 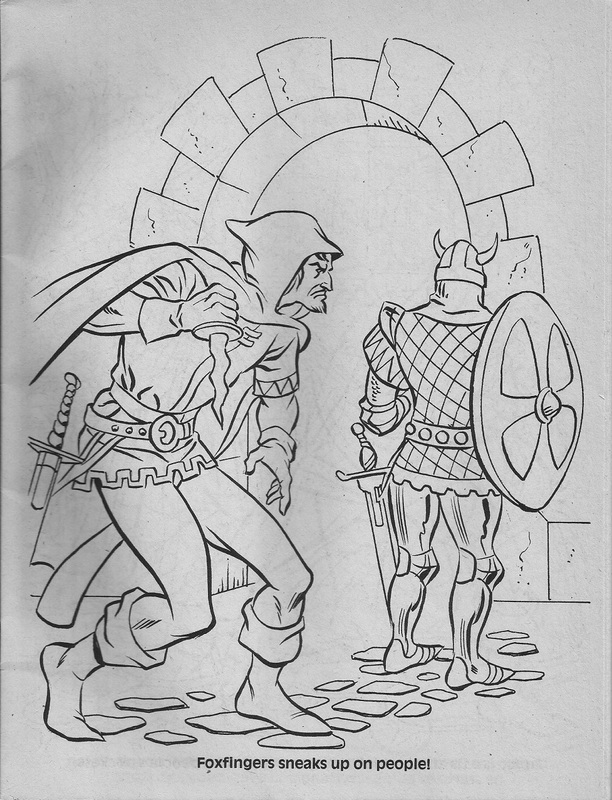 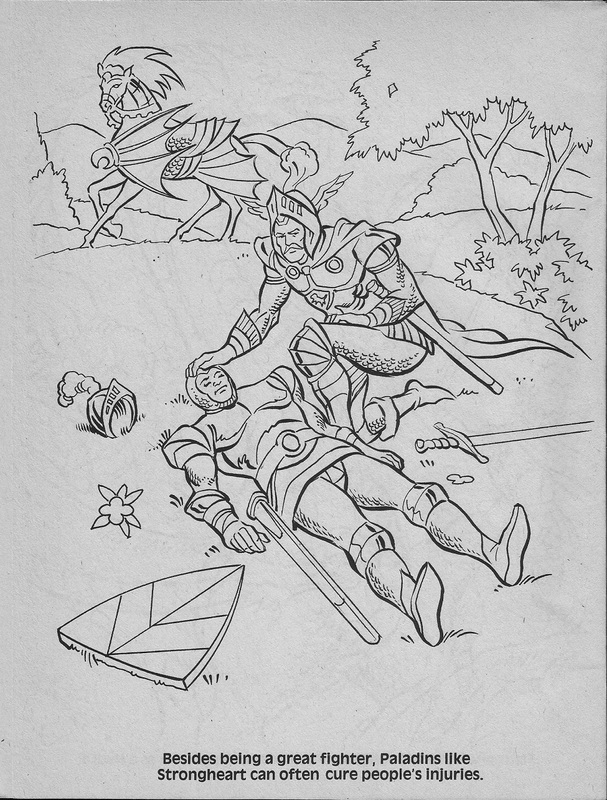 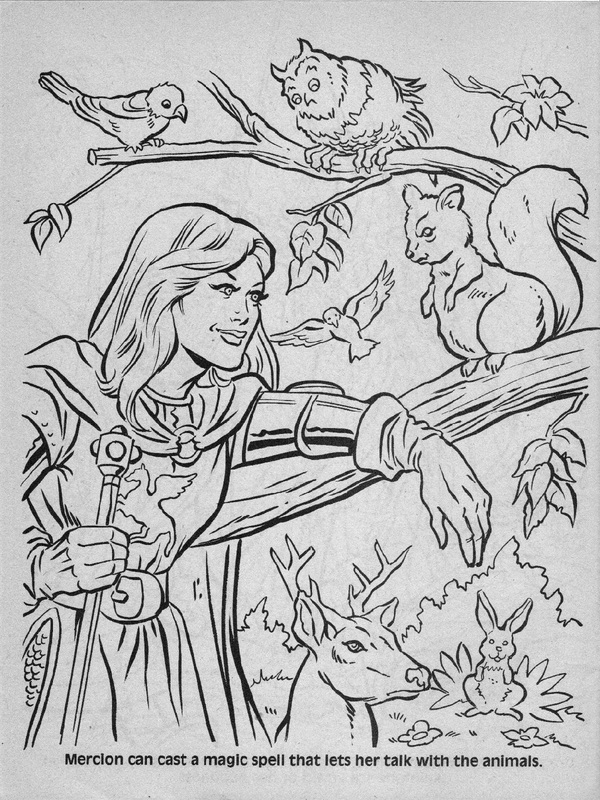 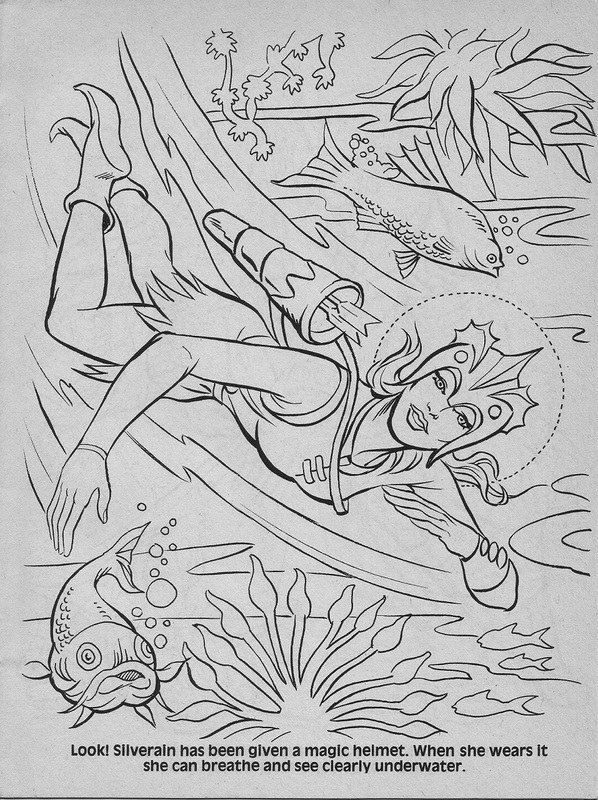 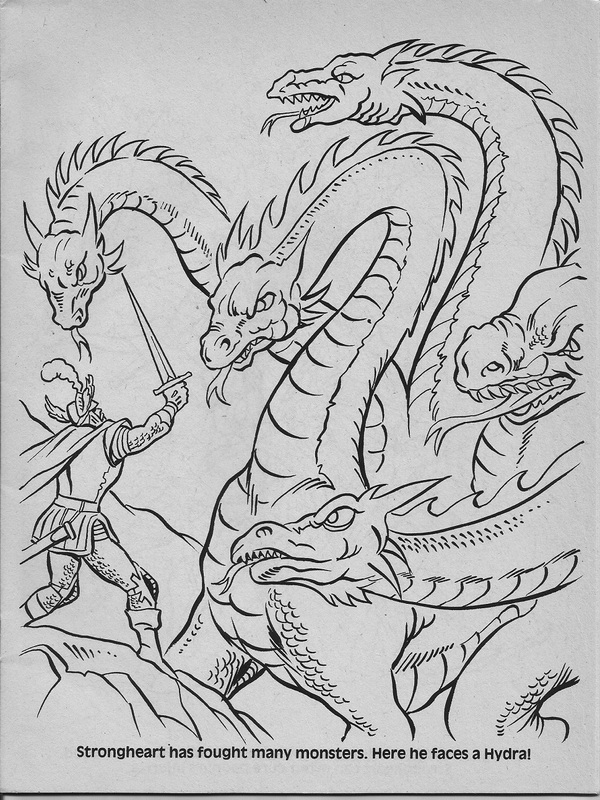 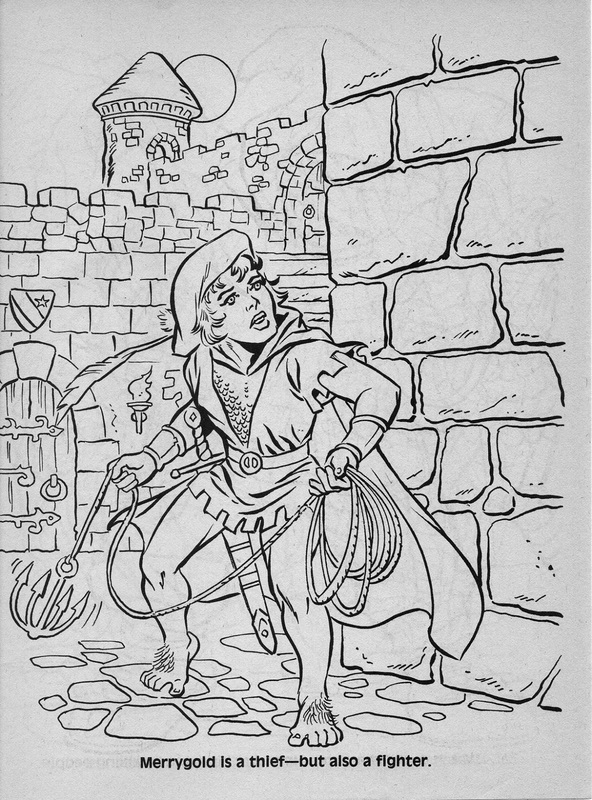 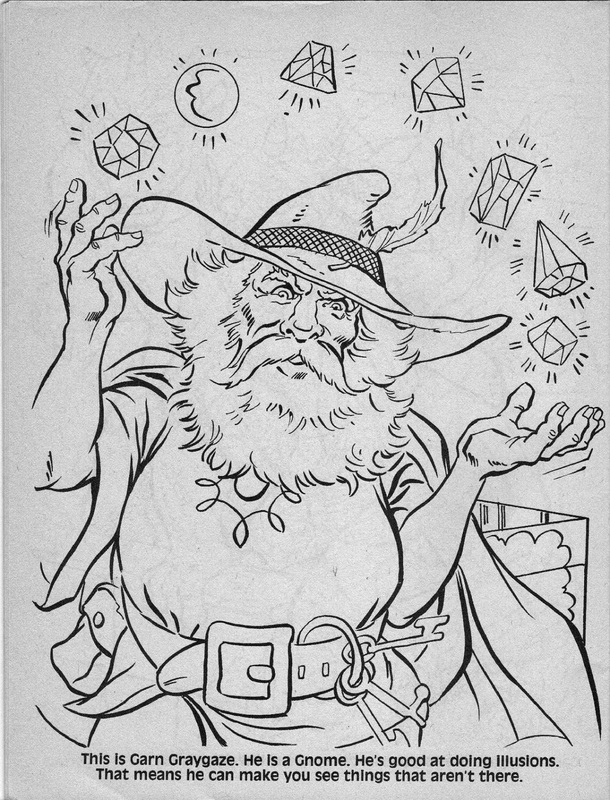 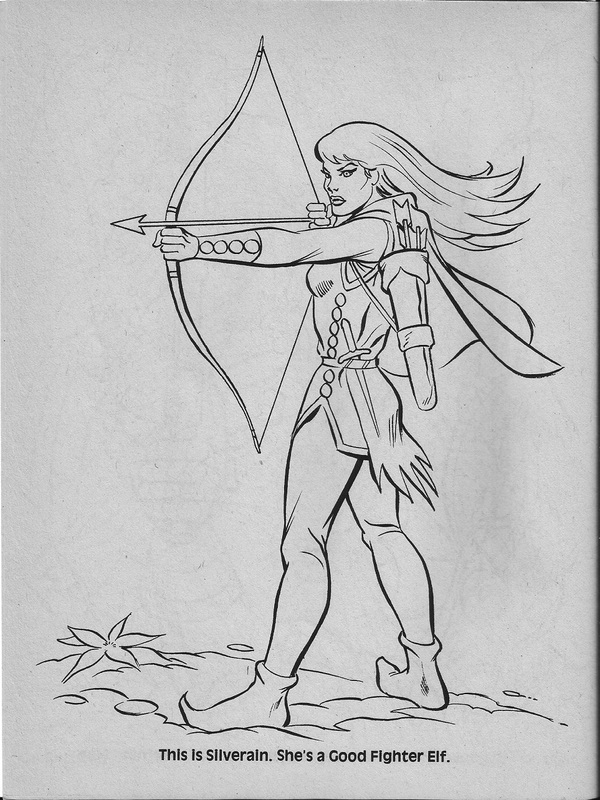 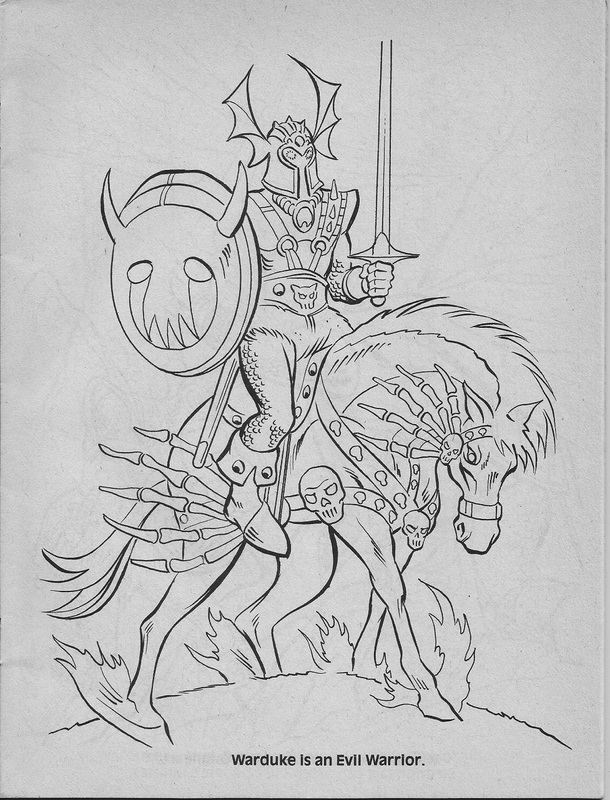 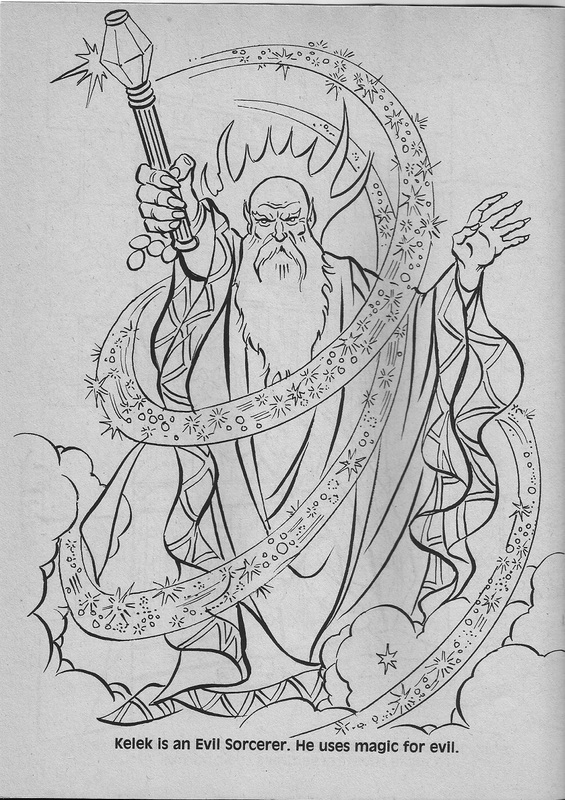 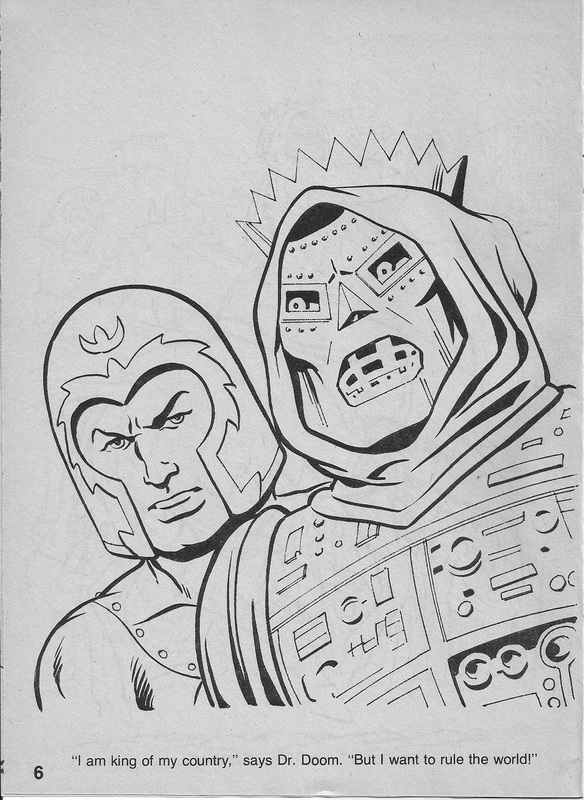 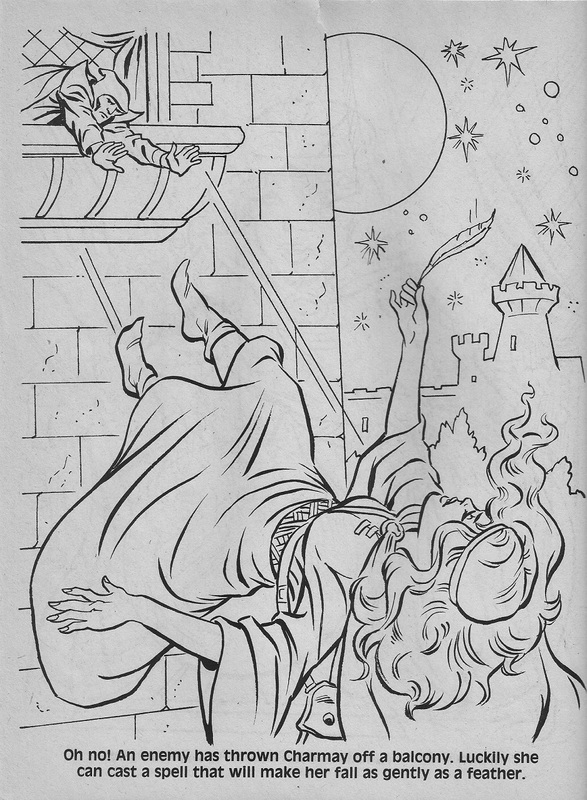 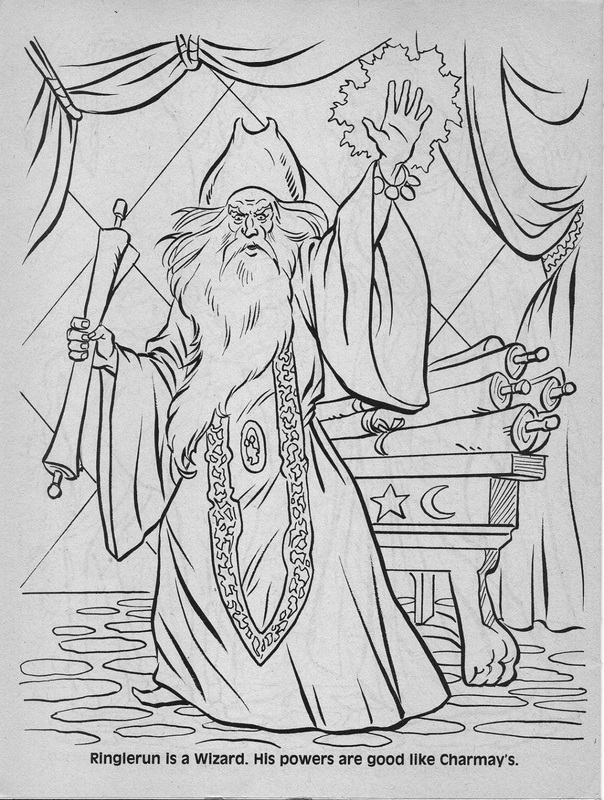 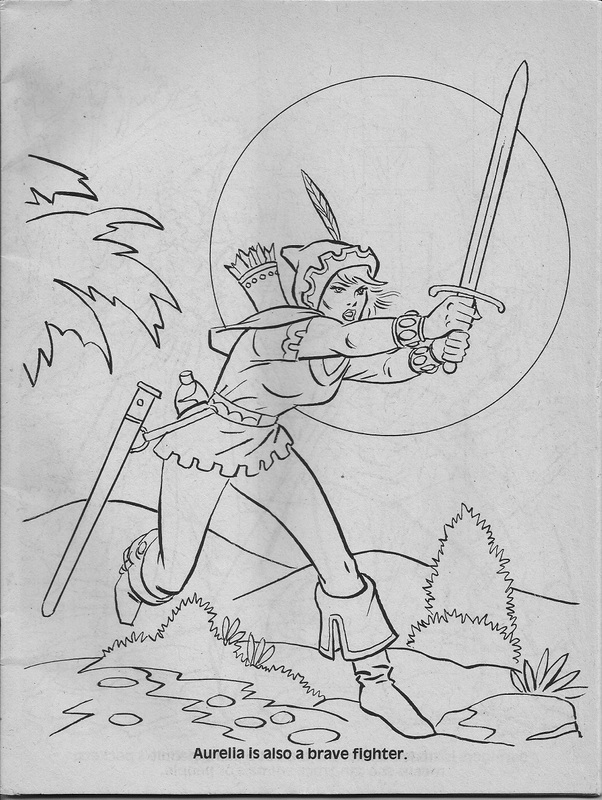 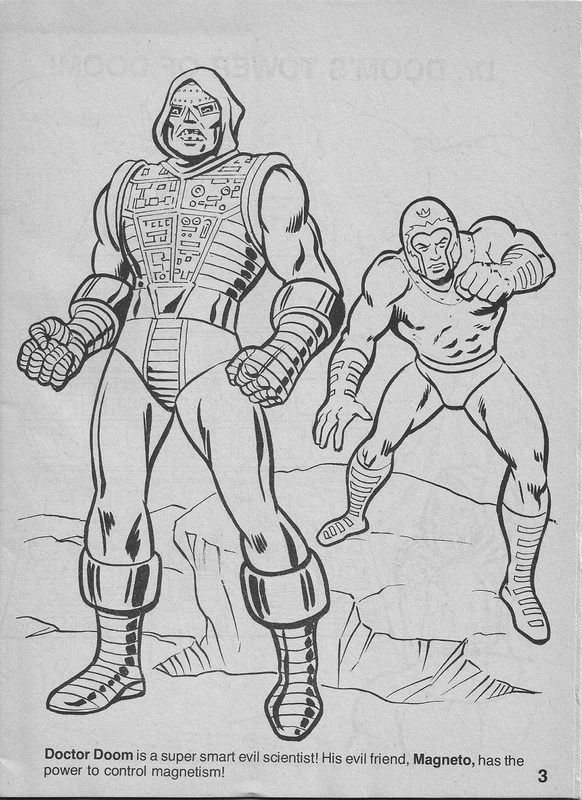 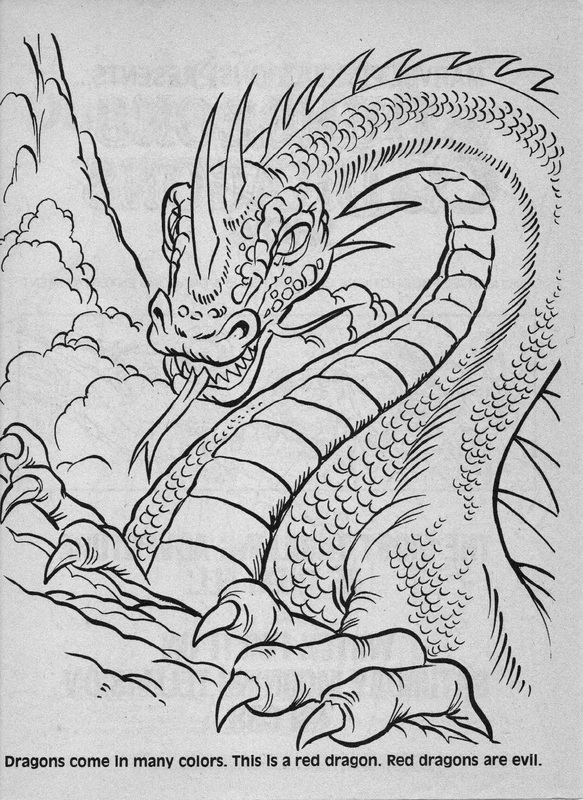 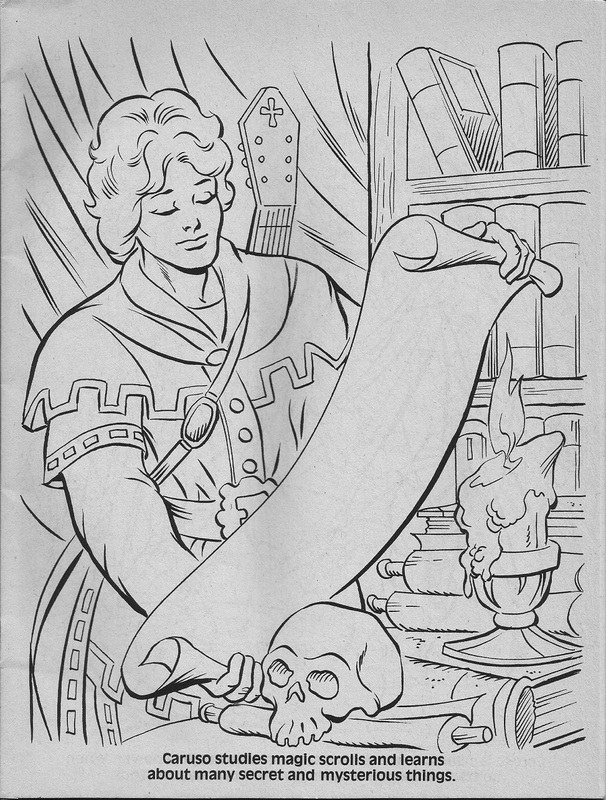 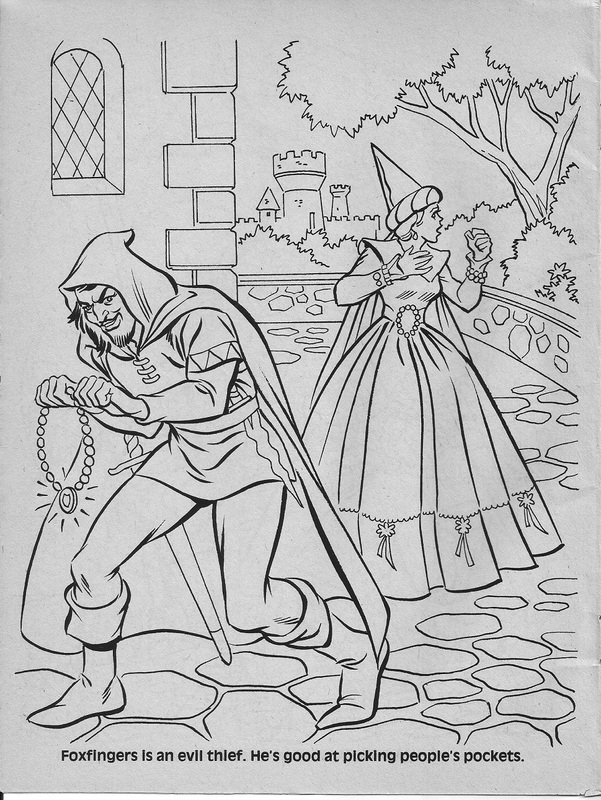 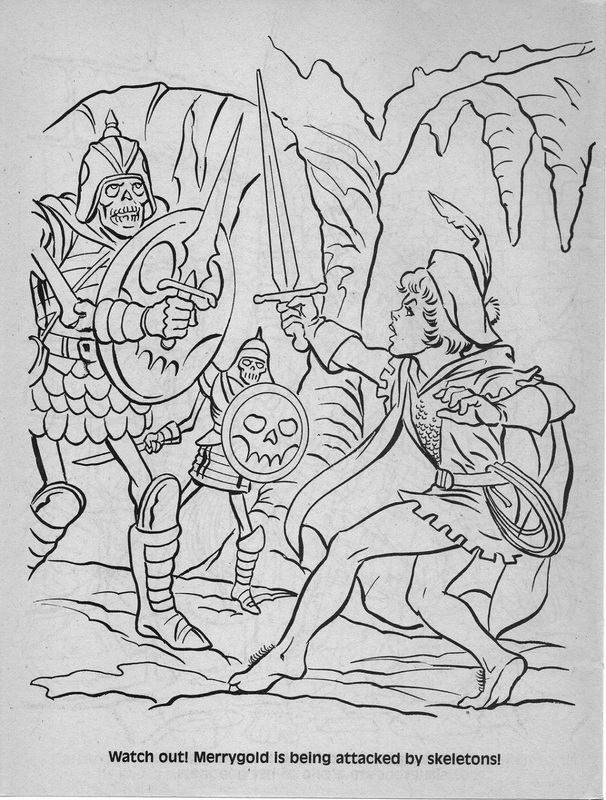 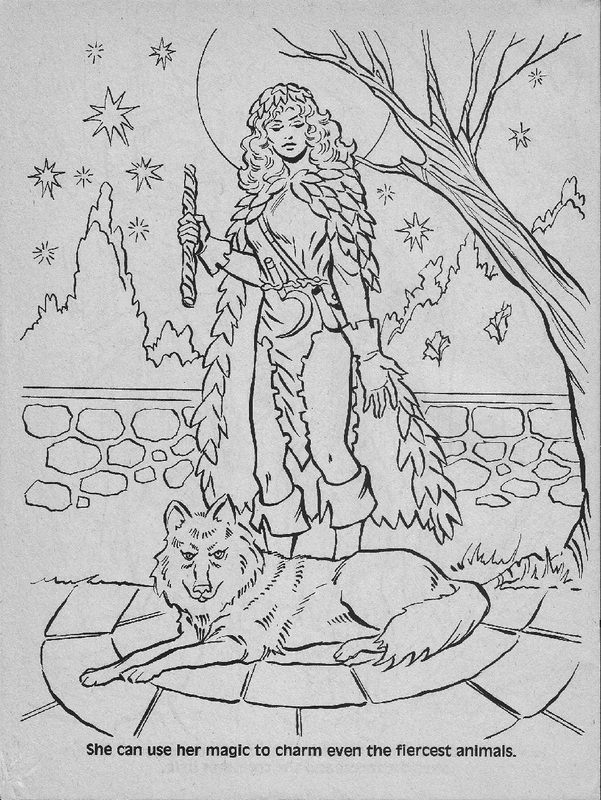 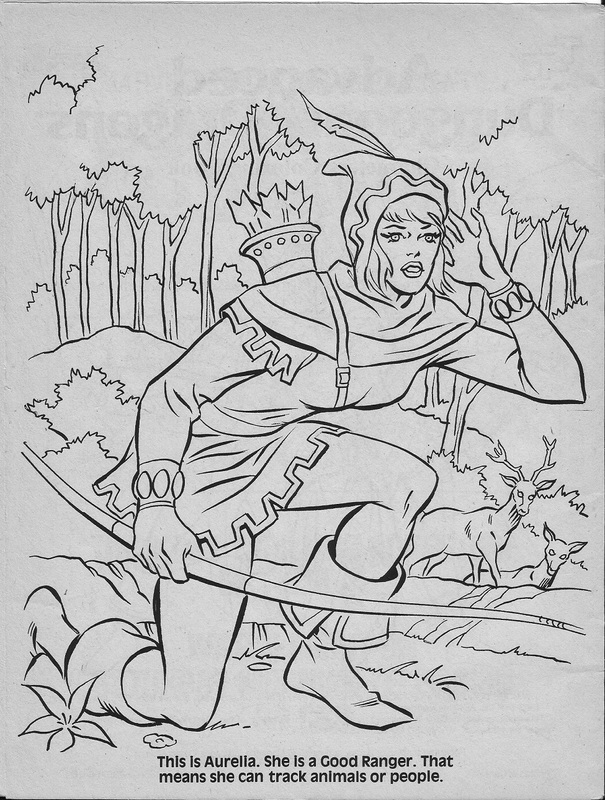 Along with the AD&D storybooks, Marvel and TSR collaborated on five coloring books featuring the same cast of characters, some of them from the toy line, others from The Shady Dragon Inn (1983), a game aid featuring pregenerated characters (and stats for the characters in the toy line). 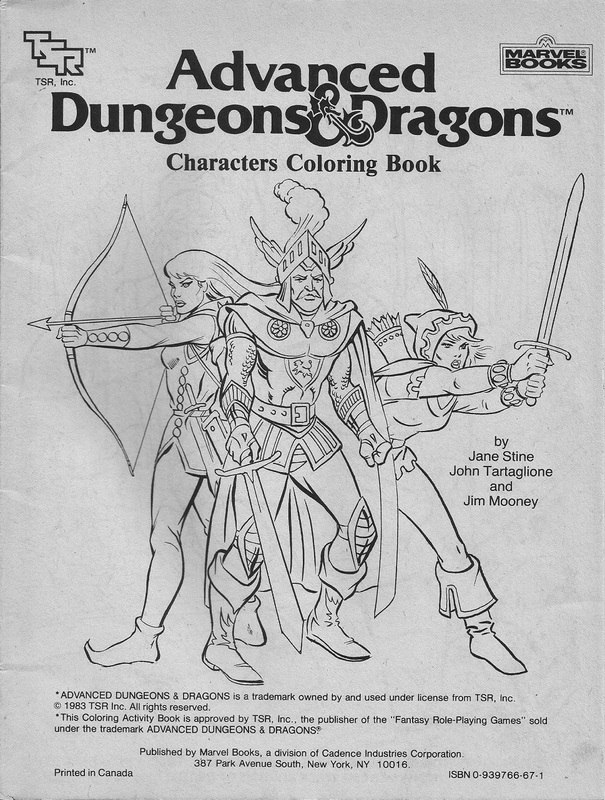 The book is essentially a visual illustration of the different D&D character class attributes, alignments, and skills. 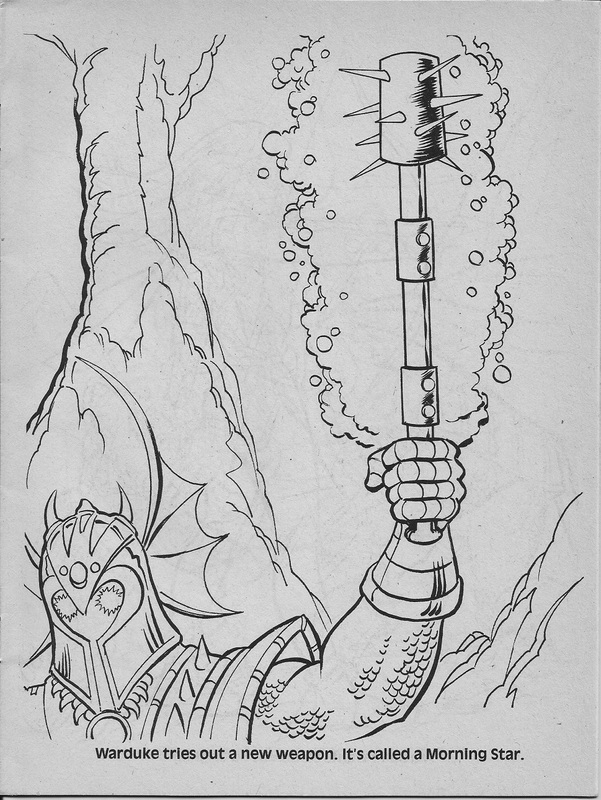 It even covers some spells (feather falling) and magic items (helm of water breathing). 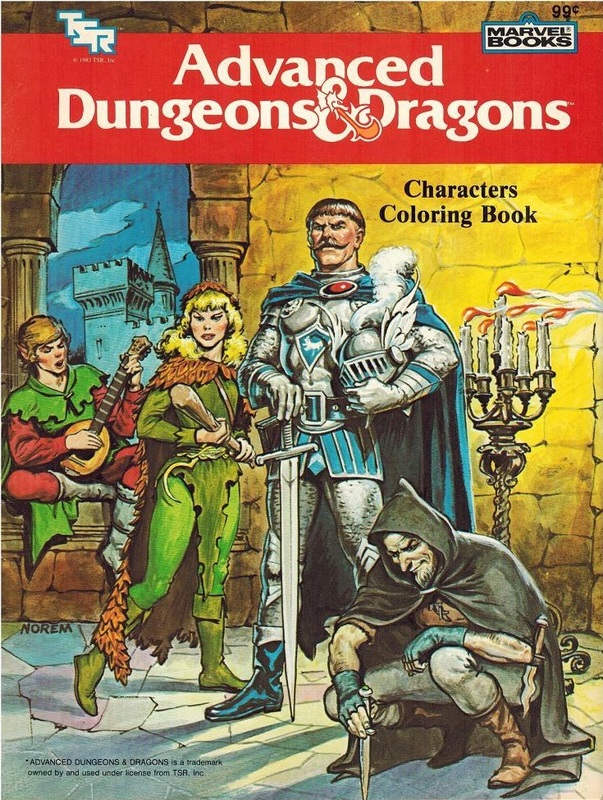 Unlike the storybooks, there’s a definite link to D&D‘s role-playing core. 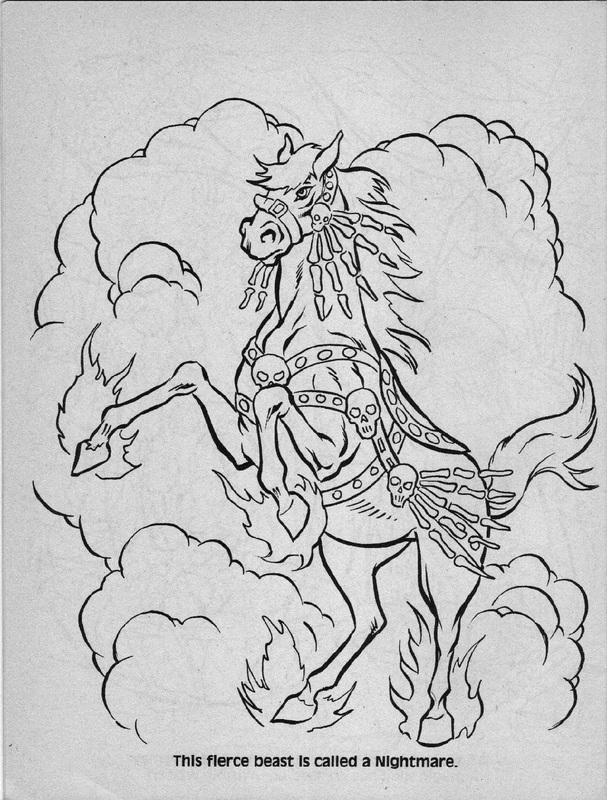 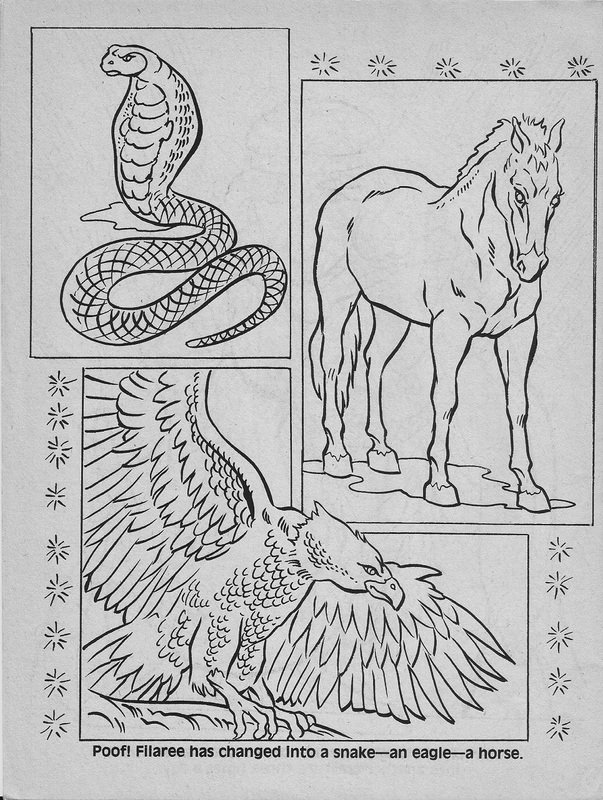 Parts two, three, and four of the Characters Coloring Book are here, here, and here. 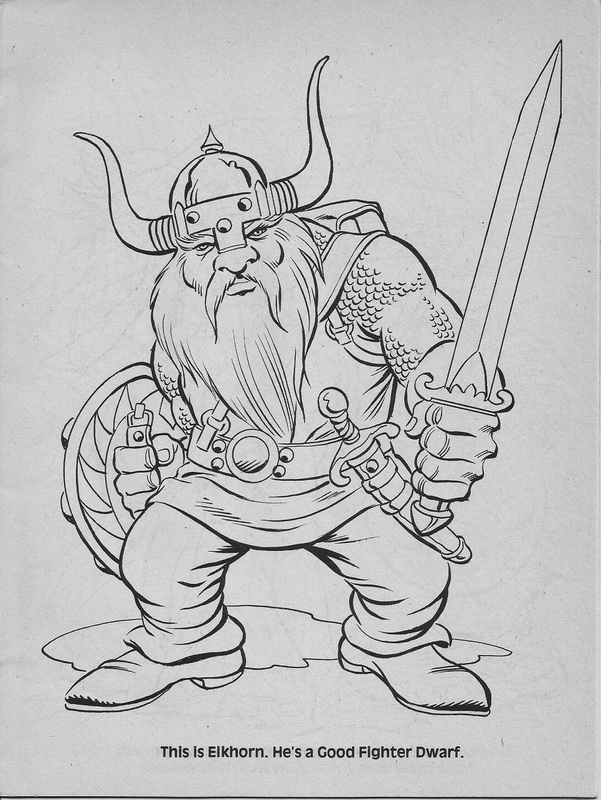 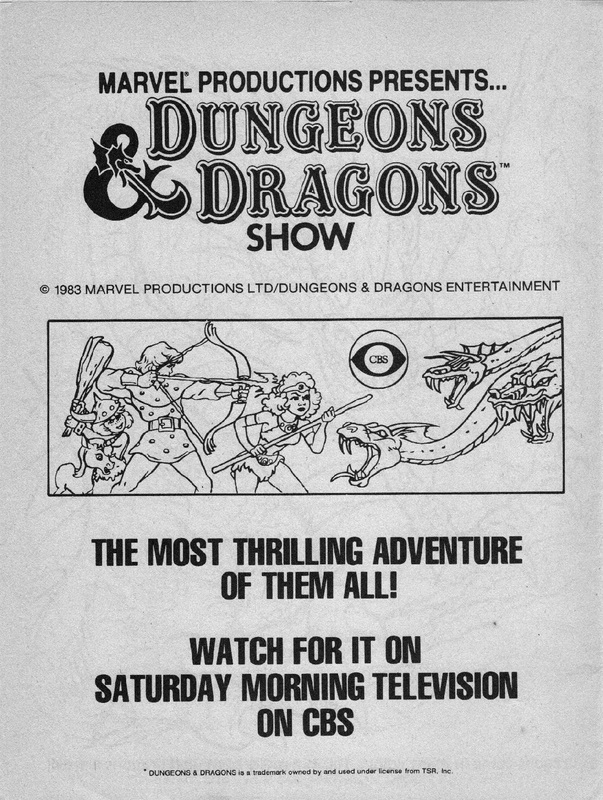 In 1983 Marvel published a series of D&D storybooks and coloring books under license from TSR. 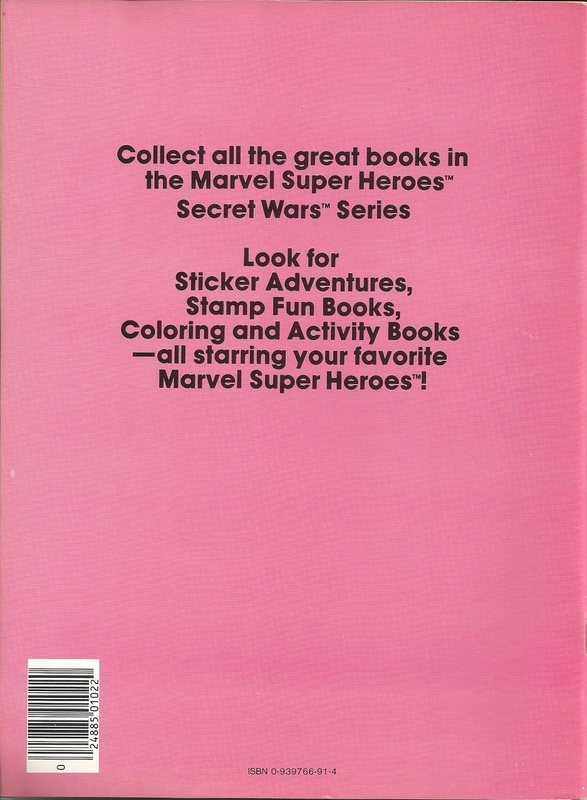 (One year later, the roles would be reversed for the Marvel Super Heroes RPG, published by TSR under license from Marvel.) 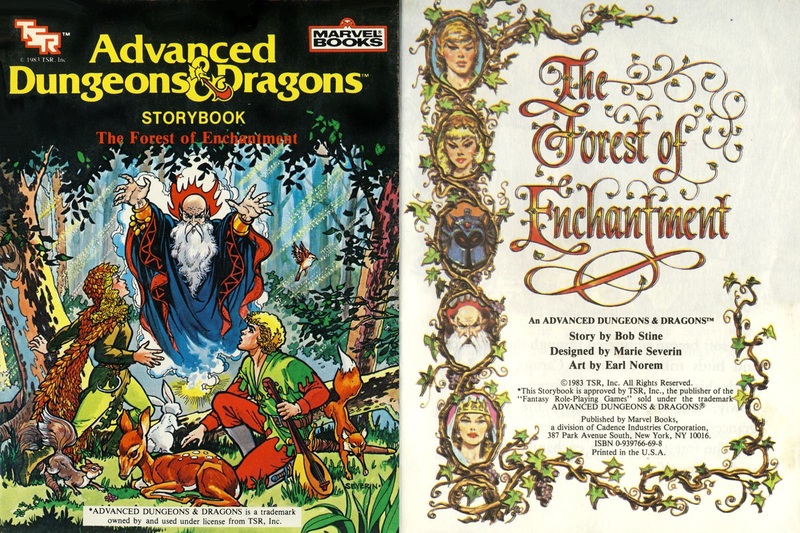 I believe these are the only two storybooks. 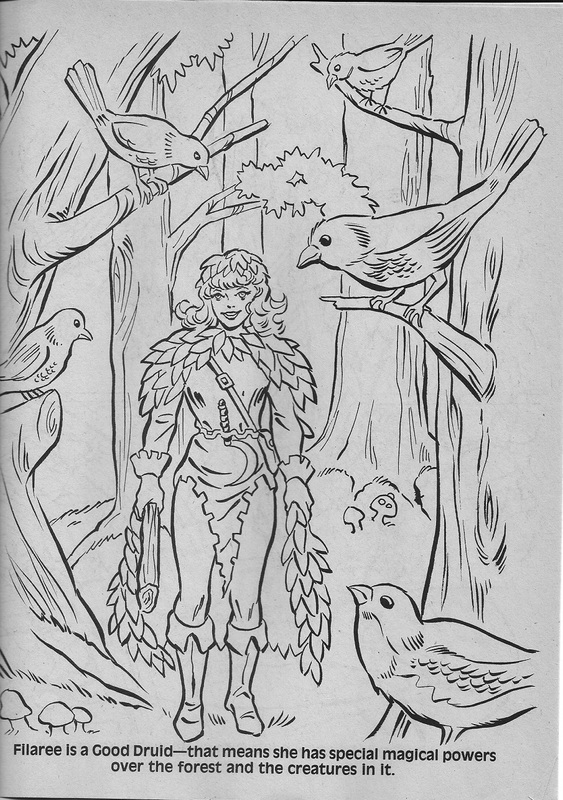 You can read The Forest of Enchantment here. 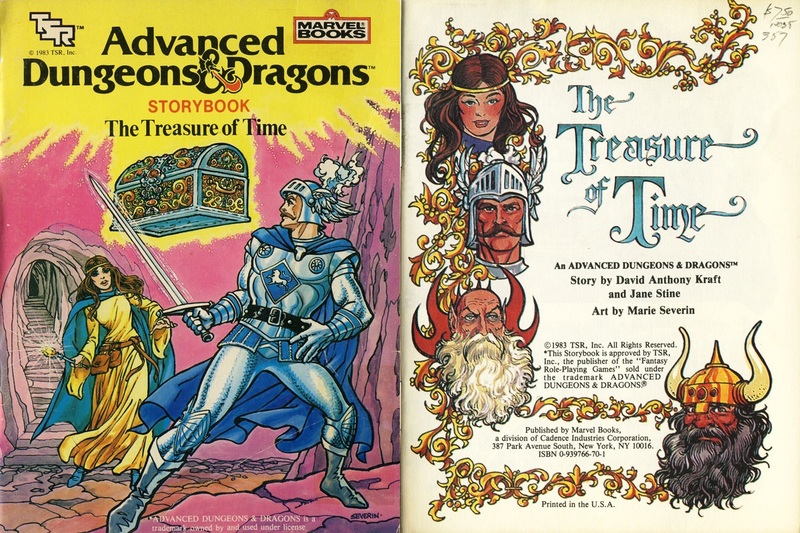 The Treasure of Time is here. 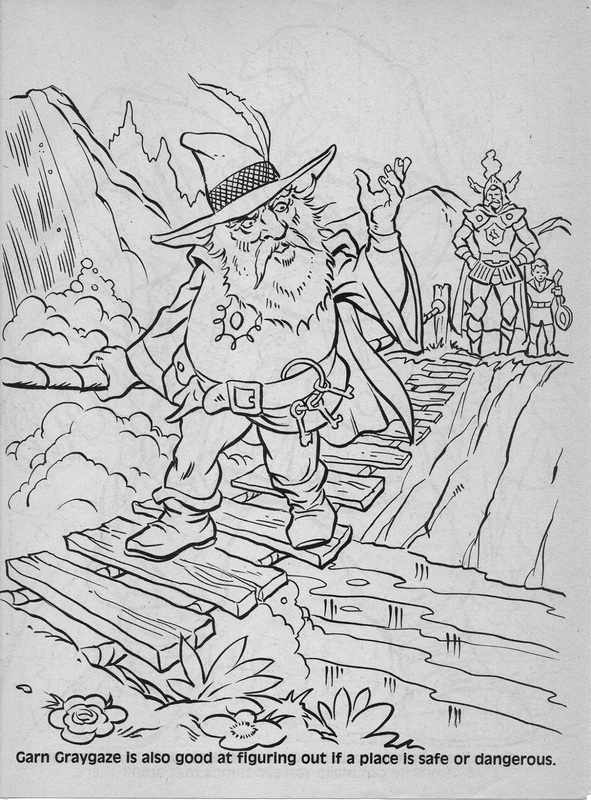 Both PDFs are originally from Kuronons’ D&D Goodies Collection. 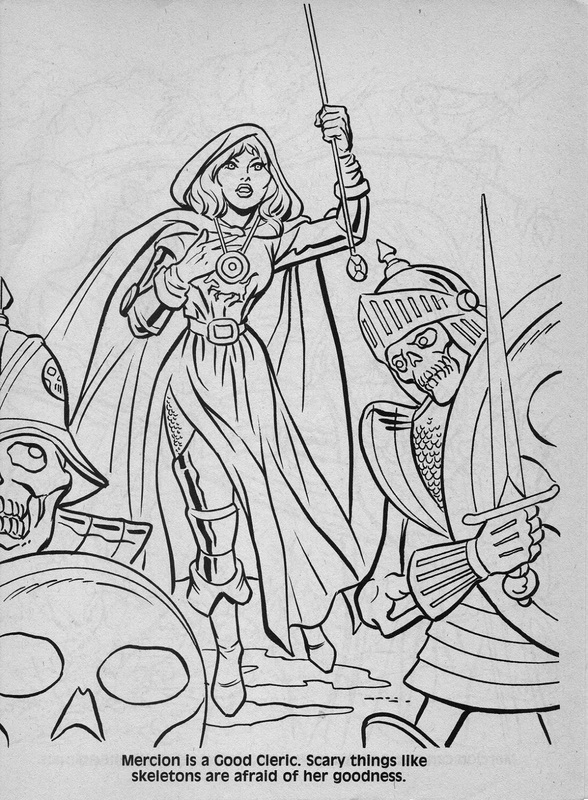 They’re kid’s books, so it’s pretty juvenile stuff, and there’s no effort to introduce the concept of role-playing (unlike the 1979 AD&D Coloring Album). 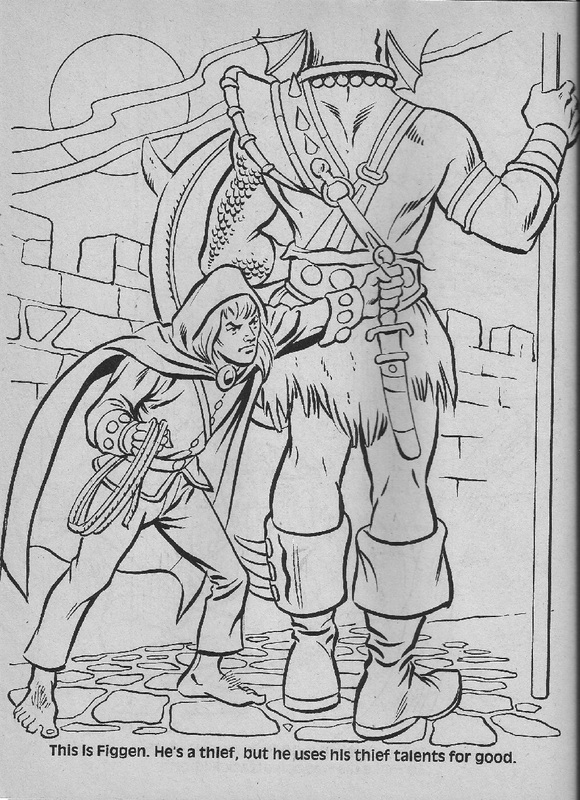 All but two of the characters from LJN’s first run of AD&D action figures make appearances, so the books are basically long toy commercials. 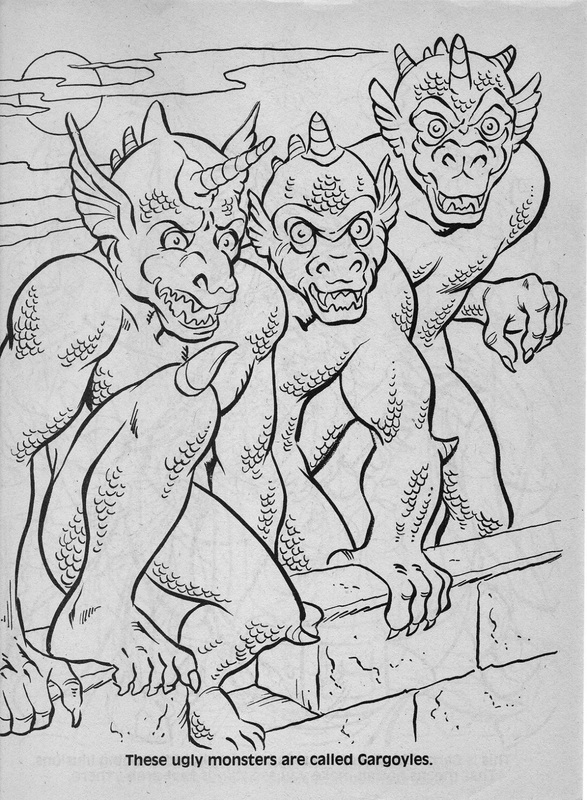 Nevertheless, they’re notable for a few reasons: Bob Stine is Goosebumps author R.L. 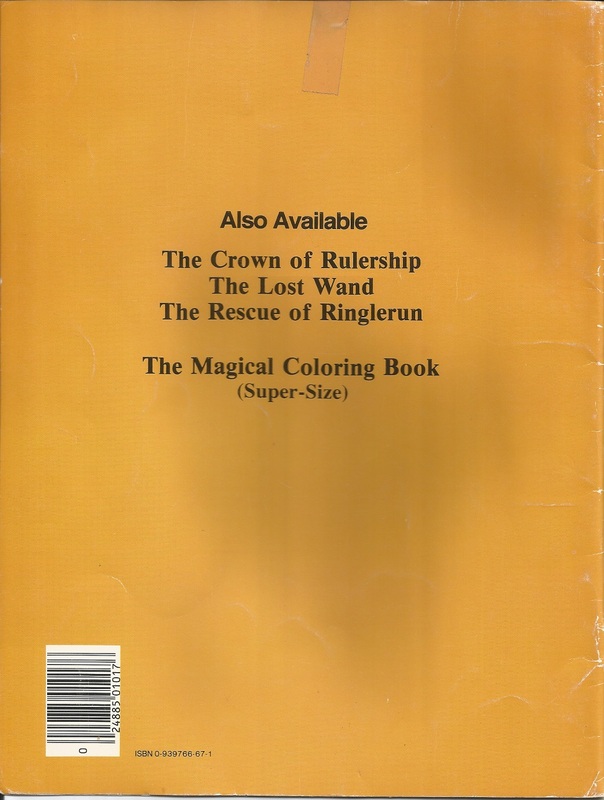 Stine, and Jane Stine, who founded Parachute Publishing, is his wife. 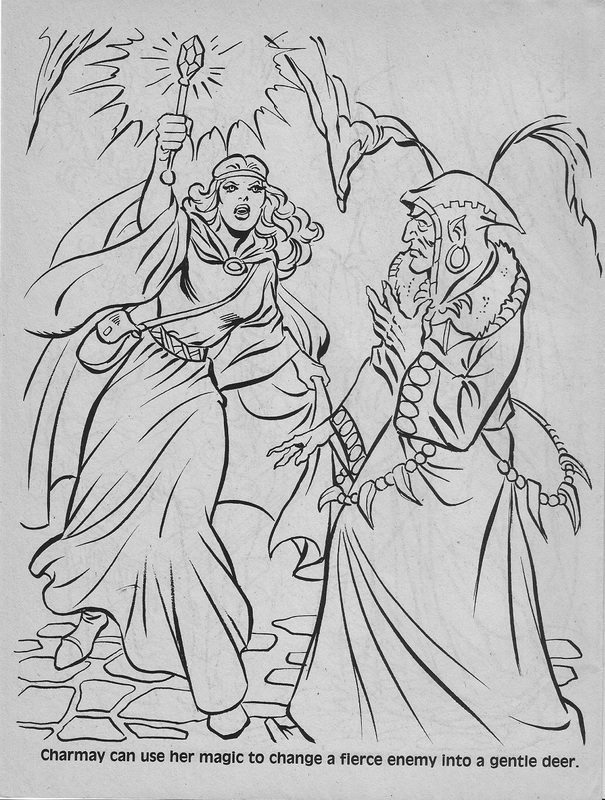 As for the art, Earl Norem did the interior work for The Forest of Enchantment, and Marie Severin did the cover and designed the book. 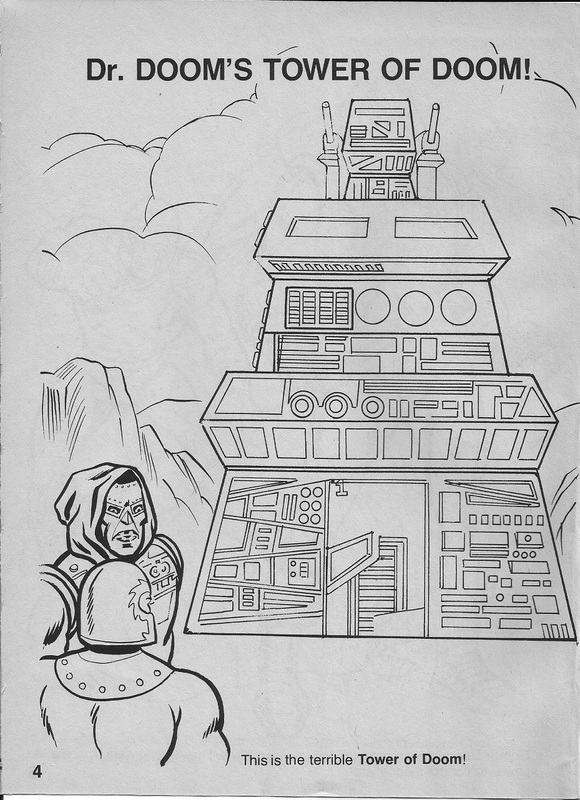 She also illustrated The Treasure of Time. 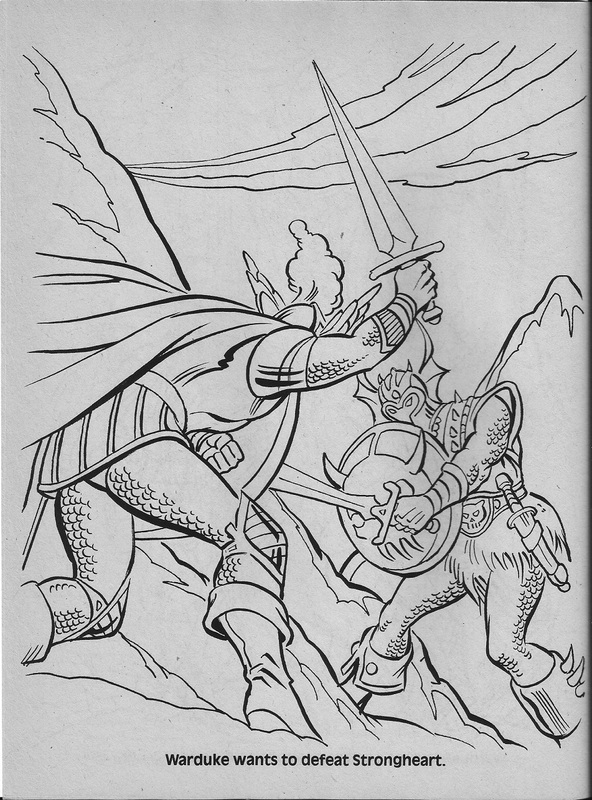 Severin was a colorist at EC until the notorious publisher was run out of town by the Comics Code. 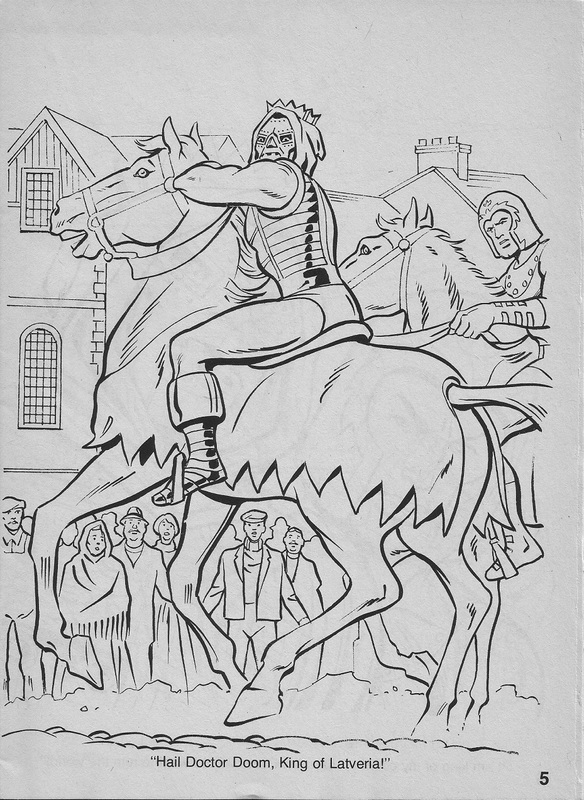 She worked for Marvel—as colorist, inker, and penciler—from 1959 until the early ’90s. 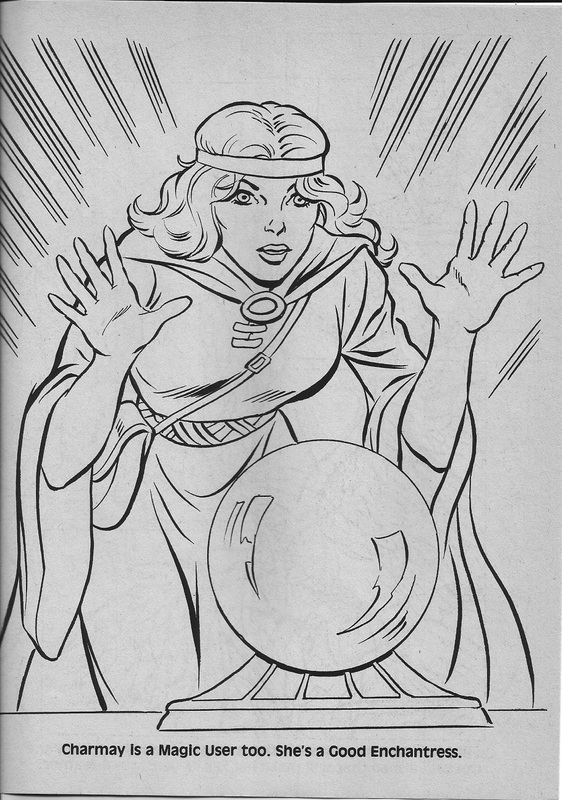 She is one of the most well-respected artists in the comics field. 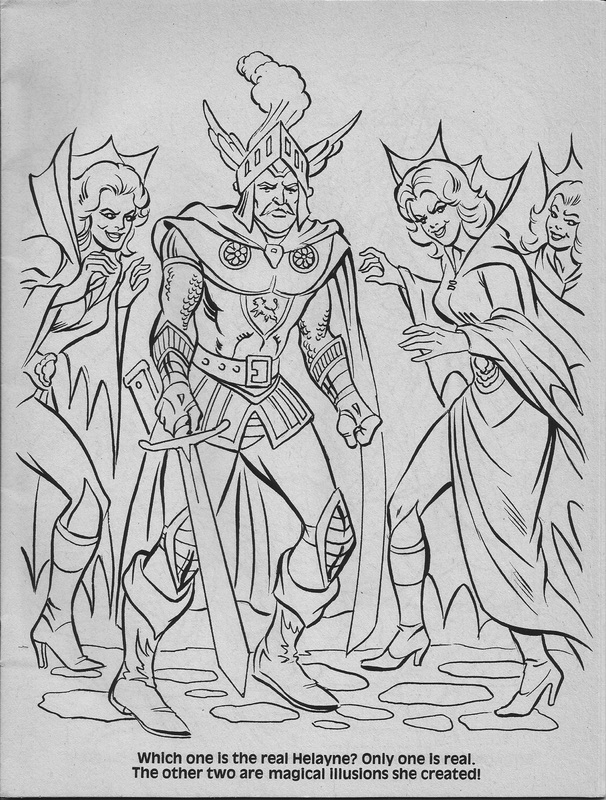 Famously, Severin was directed to soften the facial expression of the Hulk on one of the most innovative covers in Marvel’s history: The Hulk King Size Special #1 (1968). 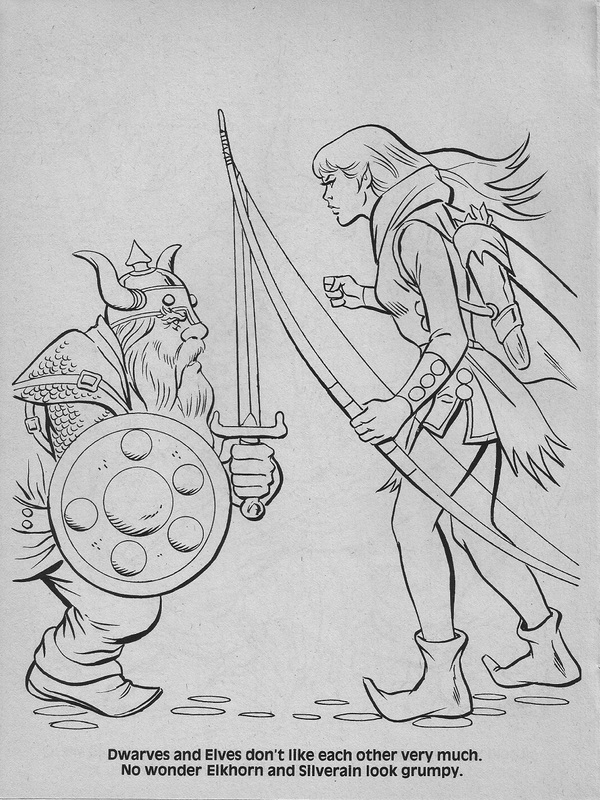 See both versions here. 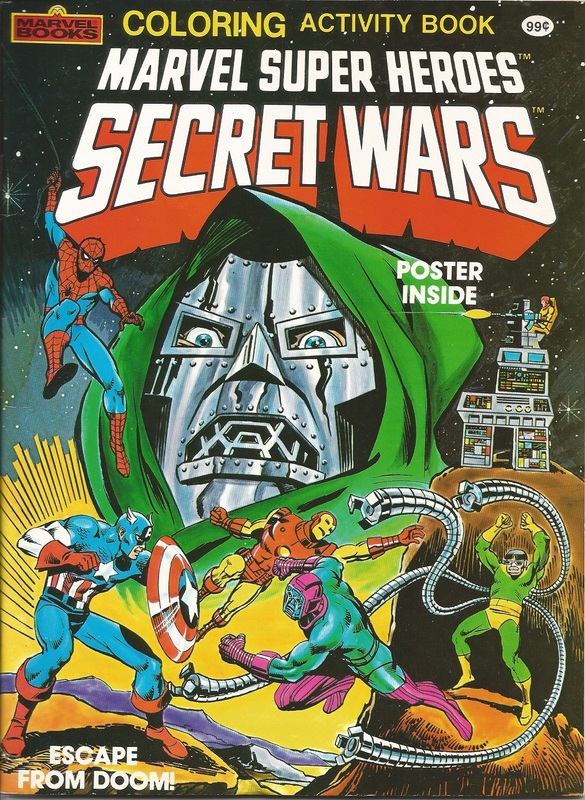 The artist who made the Green Guy too savage for public consumption? 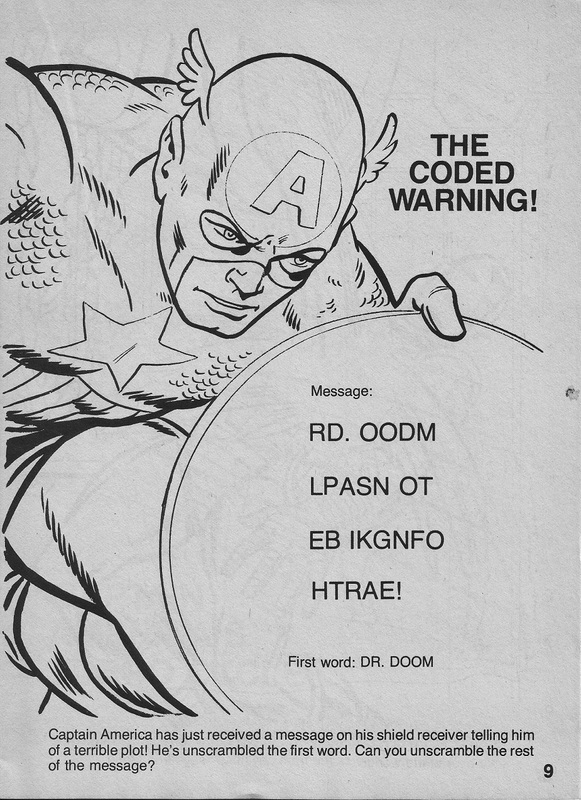 Jim Steranko.